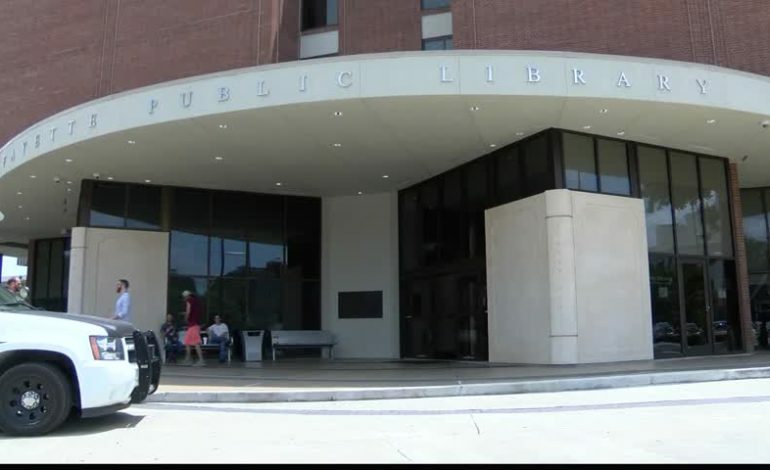 Voters in Lafayette Parish will not get a chance to decide whether to redirect a library surplus to infrastructure projects at least not yet. This is because the Lafayette City-Parish Council voted to defer the issue until April 9th. Just minutes before the meeting, Mayor Joel Robideaux revealed to the council that the library was paying for some of its projects with a previously unknown millage that was passed in 2002. “I’m embarrassed to admit that I was not fully aware of what the mayor-president just shared with us.” said Bruce Conque, Lafayette City-Parish Council. Robideaux explained that the library was able to use a general millage to pay for its projects because it had the word “construction” in it. He added that was part of the reason the library had such a large surplus that could used for other projects like roads, bridges and drainage all over the parish. However, Andrew Duhon, Vice President of the Lafayette Library Board of Control, questioned the finding. “By the mayor-president’s own admission there’s 21-22 million dollars of bond indebtedness. we’ve done 42 million dollars of projects where’s the 20 million coming from, pay as you go capital.” said Duhon. The finding caught Councilman Jay Castille by surprise leading him to defer the issue which most at the meeting supported. “Fun facts popping up we should definitely take a minute.”said Matthew Humphries. “you are going to spend 6 months of time, delaying any potential type of construction that would take place on the roads and the drainage. that’s 6 extra months that you are going to be hearing from your constituents about drainage issues and that’s additional potential for flooding.” said Bruce Armistice. Councilman Kevin Naquin who voted for deferral expressed frustration that Lafayette needs to find a way to fund infrastructure projects. “If y’all think we need better roads and bridges and drainage but we don’t want to take the library’s then that means we have to step up and put more in those millages if you want to repair roads, bridges and frustration.” said Naquin. Since the proposal was deferred, voters will not get a chance to vote on it until October at the earliest. Meet Hanson And The Rest Of The Schoolhouse Safari Flock!